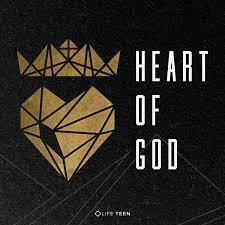 LIFE TEEN 5PM MASS EVERY SUNDAY! PRE-MOTHER'S DAY PLANT SALE...the weekend of May 5th and 6th, the Saint Mary, Mother of God Youth Ministries: Life Teen and EDGE, will be sponsoring a PRE-MOTHER'S Day Plant Sale. There will be assorted plants in Hanging Baskets and individual potted plants. 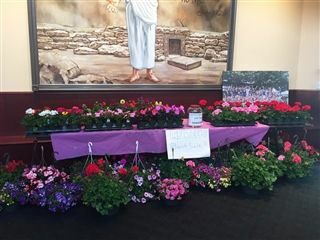 Plants will be sold in the Saint Mary, Mother of God Church Narthex before and after all Masses: Saturday May 6th 5:00 pm Mass, and all Masses on Sunday May 7th: 7:30 am. 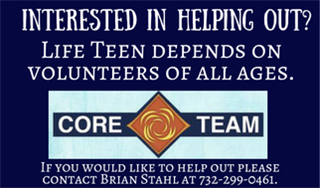 9:00 am, 10:30 am, 12:00 Noon, and the Life Teen Mass at 5:00 pm. 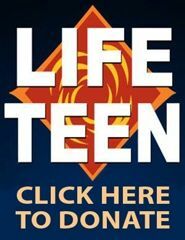 They make great Mother's day gifts So let's remember Mom this Mother's Day, and also help support our Amazing Youth Ministries of "Leading Teens Closer to Christ"
DONATE A MEAL...TO LIFE TEEN!